As a leader within the industrial and commercial door industry, the Company will always manufacture a superior product with innovative designs and techniques to meet our customers needs. CDC repairs and installs a wide variety of commercial operators. Greaseless Nylon Bearings: This exclusive feature delivers longer life than metal bearings, without costly maintenance. Drum Assembly: The counter balancing mechanism is housed in this unique, roll-up assembly. Lock Seam: The sections are lock seamed together. If one section is damaged beyond repaired, it can be easily replaced. Weather Seal: A blade astragal made from E.P.D.M., a highly resilient and flexible rubber compound, runs the full length of the bottom angle to seal the threshold of the opening. This forms a barrier against weather, dirt, insects and rodents. Guides: Roll formed single piece guide standard on all doors. Chain Operation: Smooth hand-chain provides safe and comfortable operation eliminating the sharp edges common to lock link hand chain. Locking Assembly: Exclusive tamper-proof slide bolt lock accommodates two padlocks for double protection. Galvanized Steel Curtain: A continuous sheet of . galvanized steel delivers maximum security. Sealed Ball Bearings: Self-aligning and allow lasting free rotation. Guides: Two pieces roll formed steel guides standard on all standard doors. Windlocks provided on larger sizes. Chain Operation: A minimum of a 4 to 1 reduction standard on all roll-up doors. Smooth hand-chain provides safe and comfortable operation eliminating the sharp edges common to lock link hand chain. Slat Configuration: All doors available in curved or flat slats. Galvanized according to ASTM A653-G60 and finished with baked epoxy primer and baked polyester topcoat. The Porvene Secret: State of the Art technology has allowed Porvene Doors to create a Door Dynamometer which accurately measures the torque characteristics of roll-up doors. Steel Slat Curtain: All slats are manufactured from the highest quality galvanized steel with a baked enamel prime finish. Available in 24 ga., 22 ga., 20 ga., or 18 ga.,. Available in Flat or Curved. (18 ga. in Curved only). Guides: Minimum 3/16" structural steel angle. (Roll formed guides on 24 gauge doors up to 14'0" x 14'0". Bottom Bar: Two 2" x 2" x 1/8" thick structural steel angles form a rugged bottom bar assembly. A rubber bottom astragal helps to conform to floor irregularities and helps guard against weather, dirt, insects and rodents. Pipe Barrel: Continuous 6" minimum diameter pipe to support curtain with no more than .03" of deflection per foot of width. Counterbalance: Helical torsion springs are oil tempered and grease packed. Springing is accurately calculated for every door using Porvene's uniquely designed "Door Dynamometer". 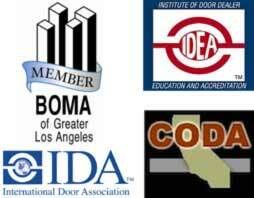 Door Stops: Stops are located on the inside and outside of the guides for added safety. Chain Hoist: Heavy duty #50 roller chain and sprockets combined with a smooth hand-chain provides for safe and efficient operation. 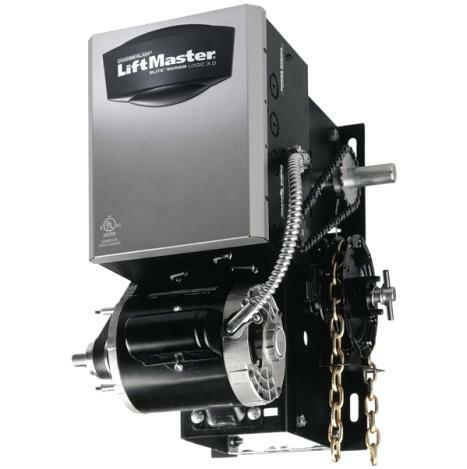 Removal of chain hoist makes door Electric Operation ready without further modification or cost. Grille Curtain. Clear anodized aluminum tubes over steel rods for added strength and security. Bottom Bar. Clear anodized aluminum with low friction nylon blocks mounted at ends for smooth and quiet operation. Locking. Slide bolt locks standard on all Grilles. Counterbalance.Â Helical torsion springs calculated for optimal ease of operation. Insulation: Environmentally safe POLYISOCYANNURATE insulation with reinforcing Aluminum facers adhered to effective thermal barrier. U-Factor = 0.185 / R Factor = 5.4 Meets ASTM “E-84 Smoke developed (55-215) Sound Transmission Coefficient STC-23. Insulated Slat Curtain: Environmentally Safe Polyisocyannurate insulating material housed between a 22 gauge front slat and a 24 gauge back slat. Guides: Structual steel wall angle with vinyl jamb weatherseal. Pipe Barrel: Continuous minimum 6" diameter pipe to support door curtain with no more than .03" of deflection per foot of width. Door Stops: Removable stops located on inside and outside of the guides for added safety. Hood: 24 Gauge galvanized steel with a baked enamel prime finish hood including an 8" baffle to help seal out the elements.